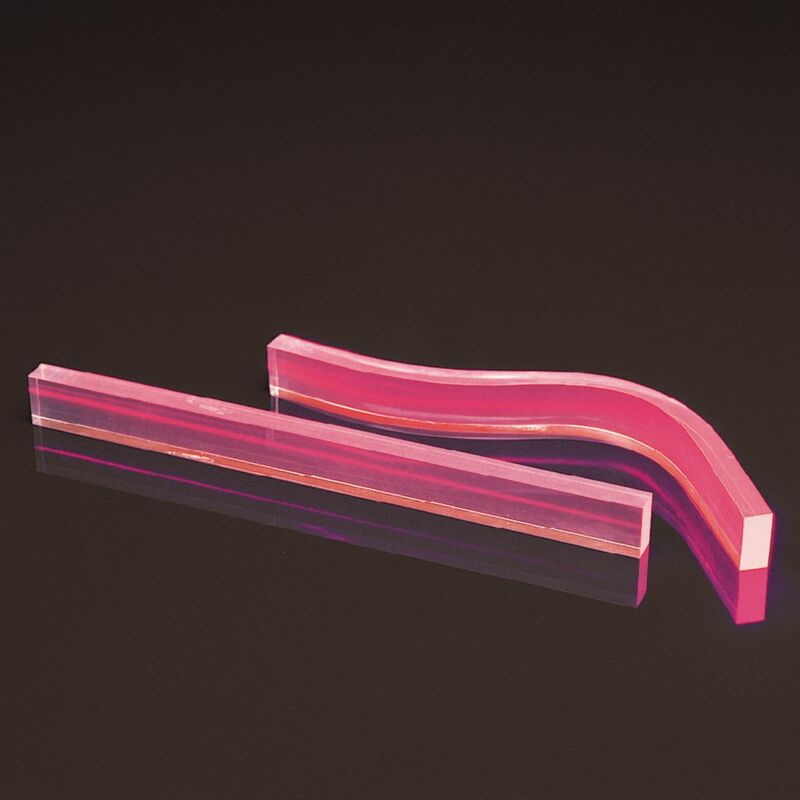 Two specially formulated lucite rods, one curved and one straight, that graphically illustrate how light is transmitted along fiber optic material. 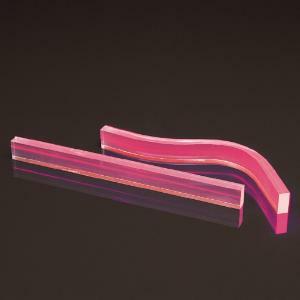 Use with a ray box or a laser beam for dramatic classroom demonstrations. The rods measure 1 x 2 x 23 cm long.